Time Wanderer –the upcoming time-travel top-down sci-fi action RPG for PlayStation 4 and Steam– has reached 30% of it’s objective on Kickstarter and we still have 4 weeks left! 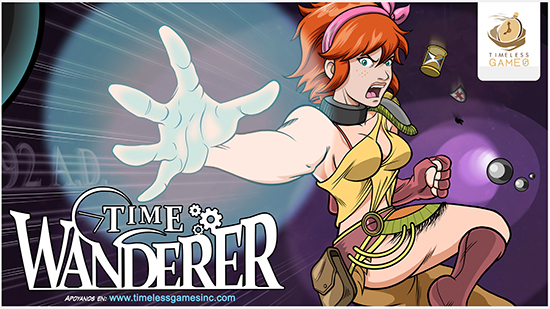 Time Wanderer shows comic strips between stages, and the good news is that the full comic book will be digitally available as a reward to our backers. Finally note that in the deluxe version of Time Wanderer you will play extra missions in which you will find exclusive power-ups.